I’ve had two skeins of this soft Misti Alpaca Chunky in my stash for almost three years. I always wanted to do something really fun with it, but it had to be just right for the yarn, which is so soft and squishy, its just heavenly. 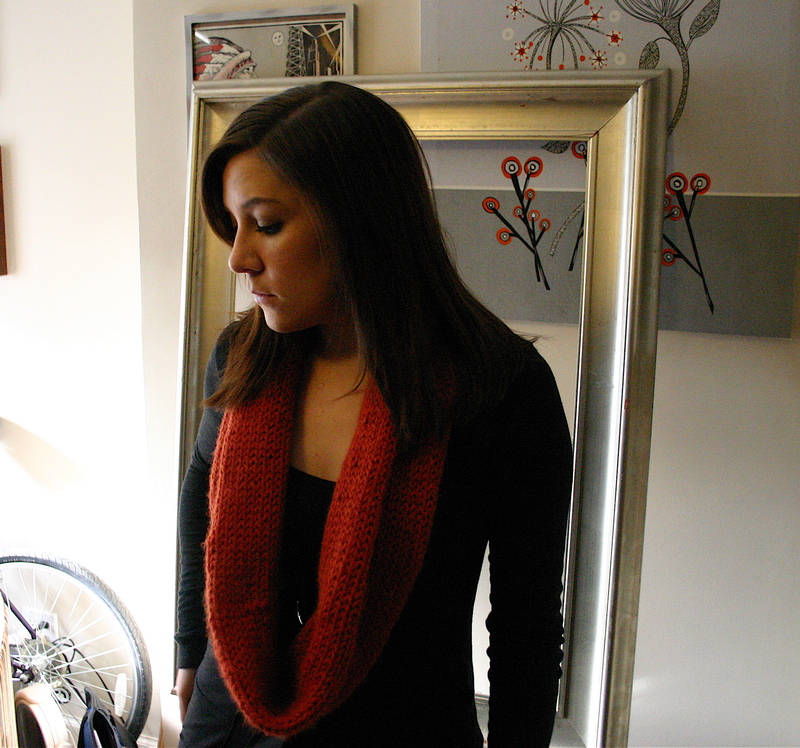 I decided that a cowl was probably the best way to go due to my limited yardage. I couldn’t decide on a pattern. 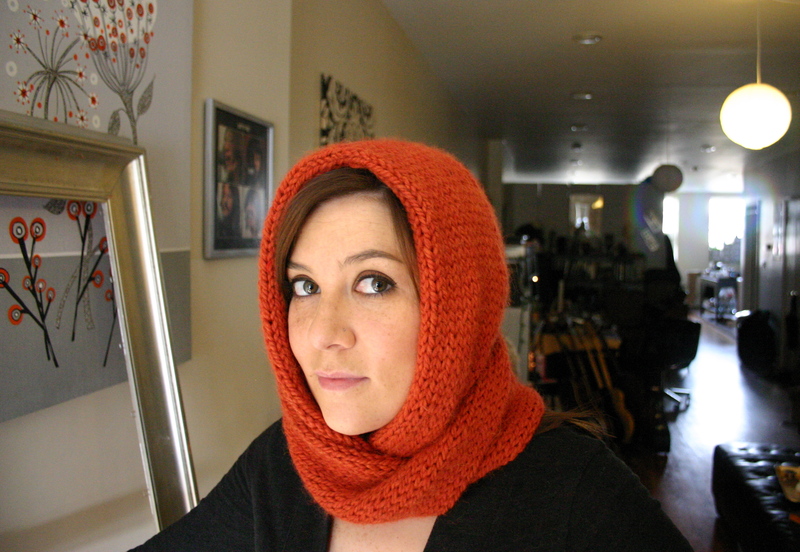 I’ve had an idea floating around in my head for quite a while of the perfect infinity scarf/cowl. I wasn’t really sure how to go about making what I was envisioning, so I searched around for a pattern. Nothing was quite right. So I decided to just go for it- I cast on 36 sts on size US 15 needles and started knitting a tube. I knit through both skeins and then grafted the ends together…. and viola! 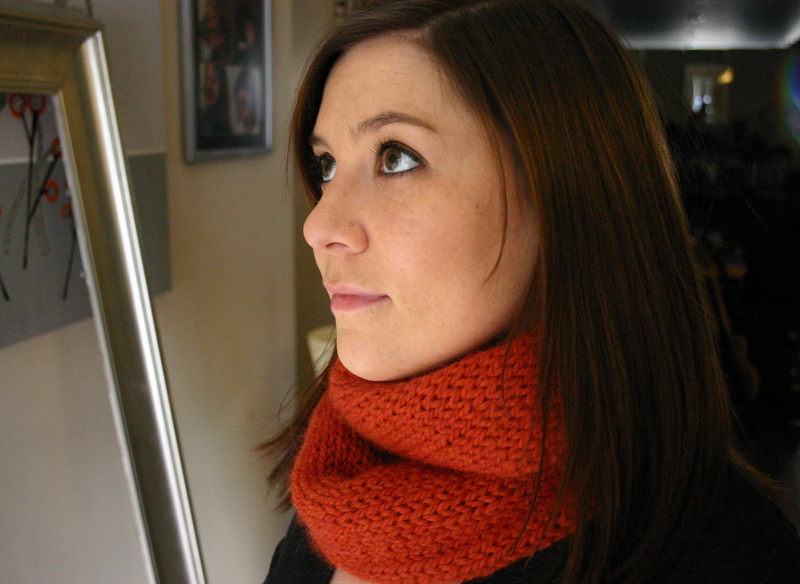 The perfect infinity cowl was born! Looks so pretty!I love the colour you chose, a bright pop of colour is so perfect for winter. 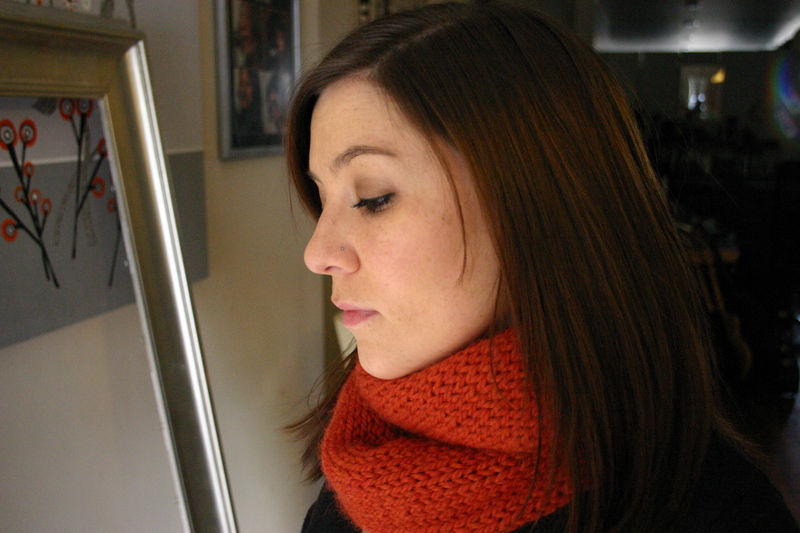 Absolutely beautiful — you AND the cowl. it turned out really lovely…the pics are gorgeous! Love the color and you pattern. I dont really understand how you graft the two ends together w/ kitchner stitch. The cast on end isn’t going to have any live stitches to do a kitchner stitch grafting. Please describe in a little more detail how you got both open ends of this tube stitched together.